Ground floor room. 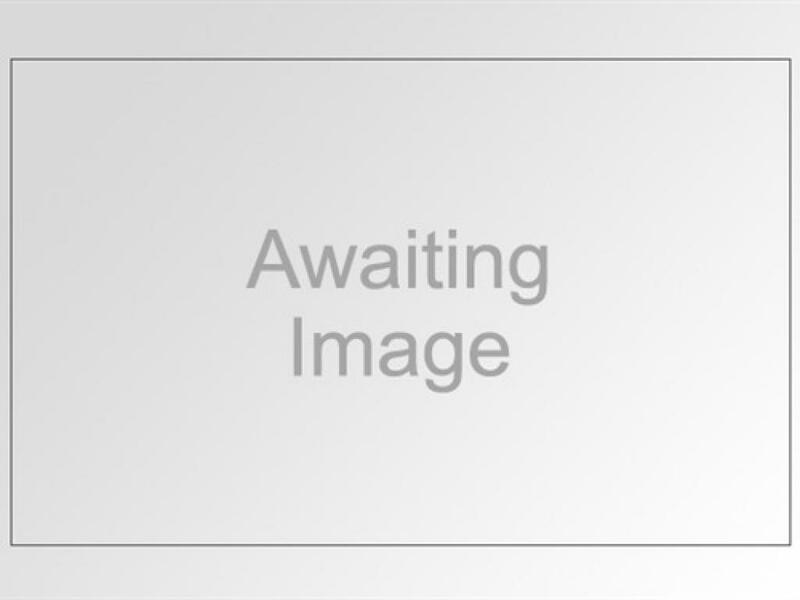 Large superking bed/twin beds. Spacious modern shower room. Scottish fine soaps toiletries. Original Victorian features and a view of the garden. TV, DVD,WIFI, IPOD dock, tea and coffee making facilities and hairdryer. Ironing facilities available on request. 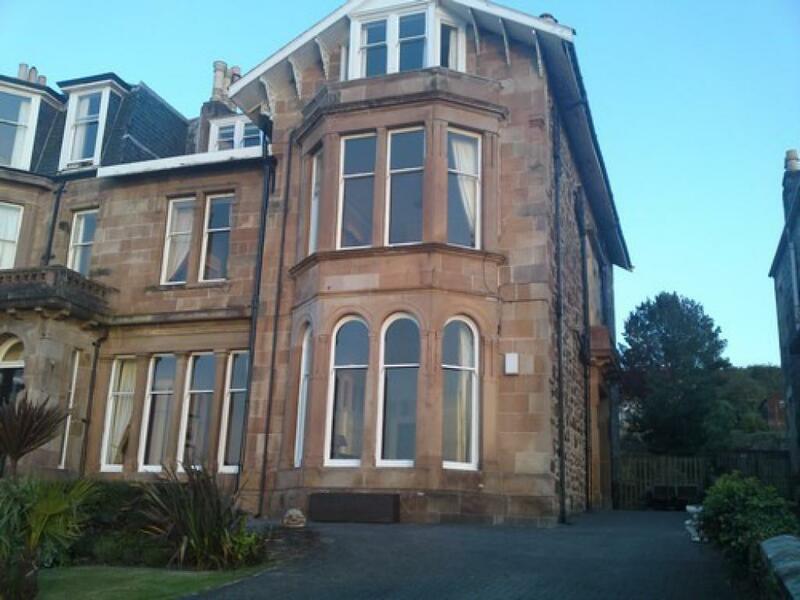 Large spacious room on the first floor with seaview. 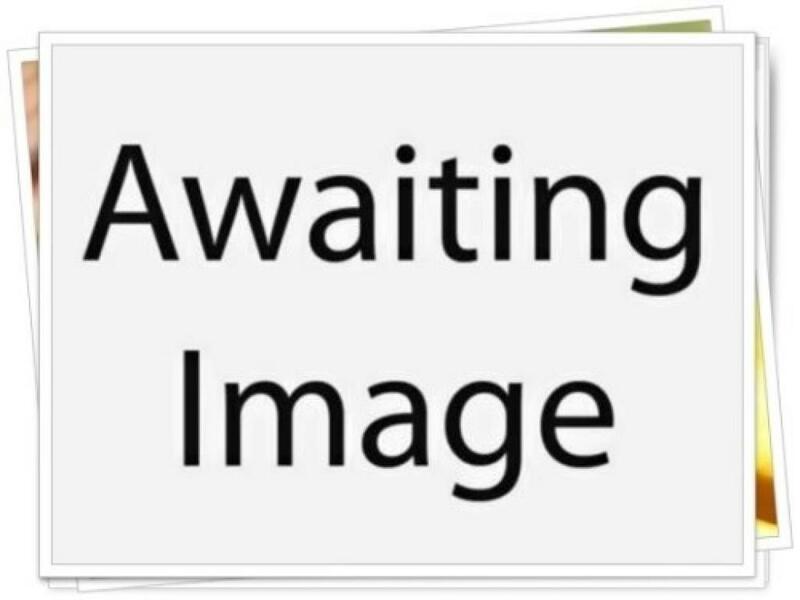 Large superking bed/twin beds. 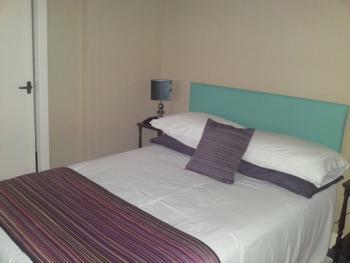 This room has a recently refurbished private bathroom opposite the bedroom. Scottish fine soaps toiletries. Bathrobes and slippers supplied. 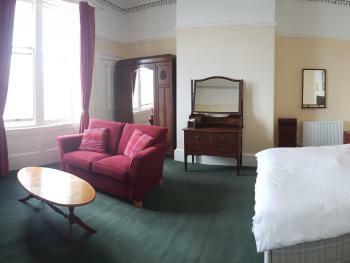 TV, DVD, WIFI, IPOD dock, hairdryer and tea and coffee making facilities. Ironing facilities available on request. 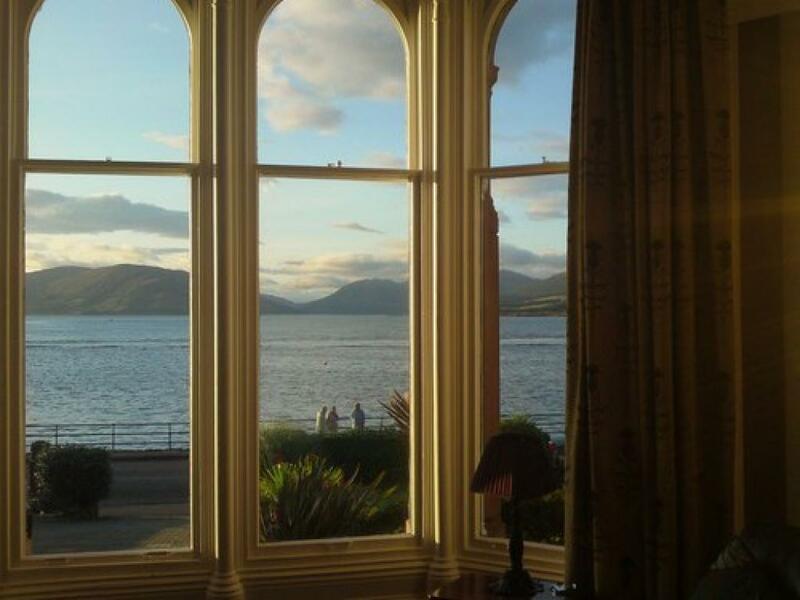 Large seaview room on the first floor with large bay window over looking Rothesay bay. Spacious room with quality bedroom fittings. 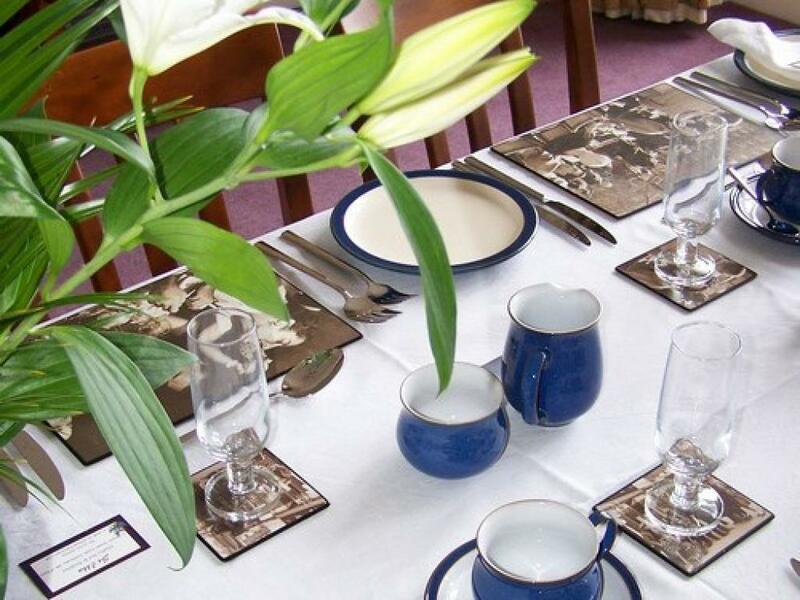 All usual facilities TV, DVD player, IPOD station, tea and coffee tray, trouser press, hair-dryer and ironing equipment available. This room also has large spacious en-suite with double sinks and original Victorian bath and large separate shower cubicle. Quality 'Scottish Fine Soaps' toiletries. This room could be the perfect romantic setting. Attractive cosy bright double room with kingsize bed and refurbished en-suite. This room has a garden view. Modern flat screen TV with DVD player and Ipod dock. Hairdryer. Coffee and tea facilities. Quaility bathroom toiletries. Other facilities available on request: iron and ironing board, glasses for drinks. Large bright room. Second floor. Kingsize bed, two single beds. En- suite shower room. 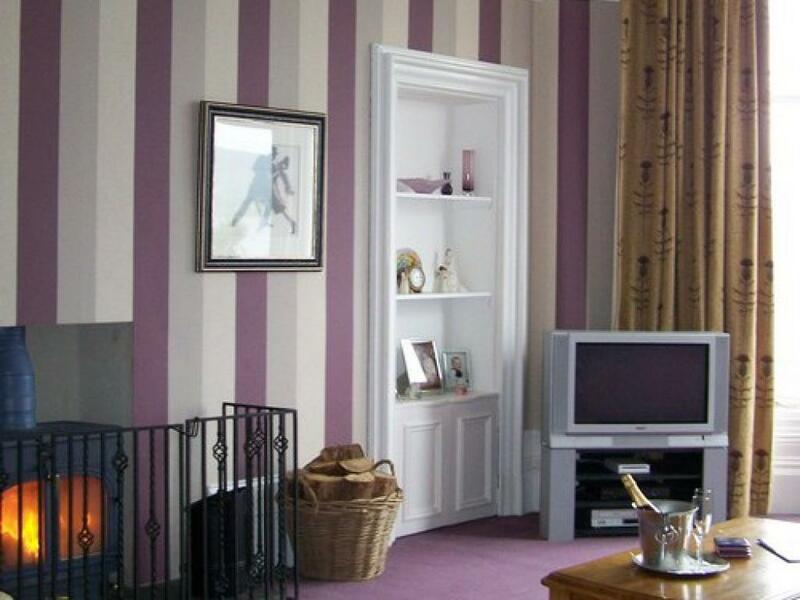 TV, DVD, WIFI, IPOD dock, hairdryer, tea and coffee making facilites. Scottish fine soaps toiletries. Ironing facilites available on request. Overlooking the garden. 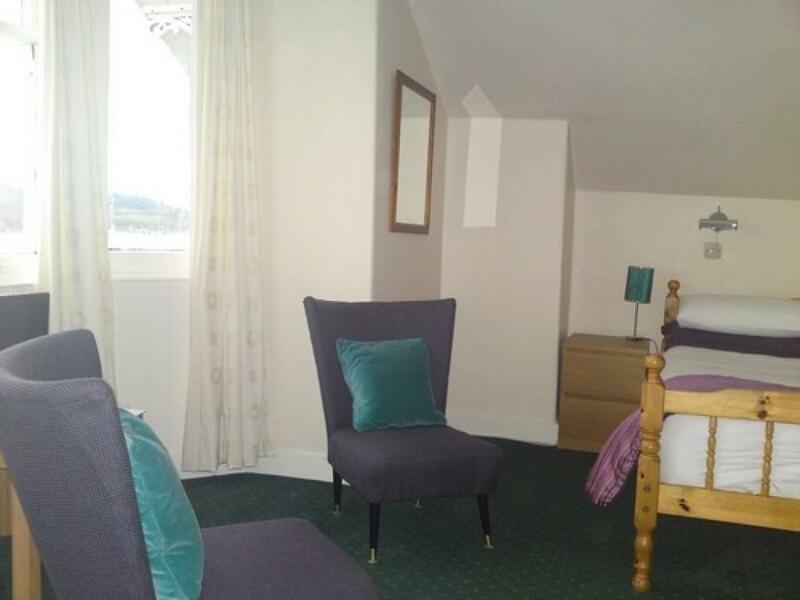 Attractive sunny room with two single beds. Second floor. Overlooking the garden. En- suite shower room. TV, DVD, WIFI, IPOD dock, tea and coffee making facilities. Scottish fine soaps toiletries. Iron facilities available on request. Double room with seaview. Second floor. En- suite shower room. TV, DVD, IPOD dock, WIFI, tea and coffee making facilities, and hairdryer. Scottish Fine Soaps toileties. Ironing facilities available on request. Large attractive room. Excellent seaviews. Second floor. Kingsize bed and single bed. En- suite shower room. TV, DVD, IPOD dock, WIFI, hairdryer, tea and coffee making facilities. Scottish Fine Soaps toiletries. 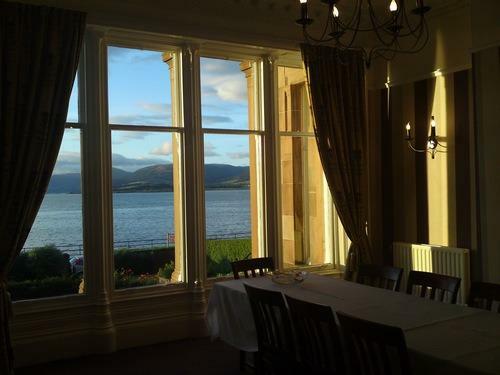 The St.Ebba is a grand Victorian villa with many original features and panoramic views across Rothesay Bay. It sits on Mount Stuart Road and to find us you take a left turn from the ferry towards Kilchattan bay. If you are on foot it is a pleasant 15minute walk. There is a taxi rank at the pier and local bus services. Visitors have been arriving at Rothesay pier on the Isle of Bute for many hundreds of years to enjoy the simple relaxing environment. 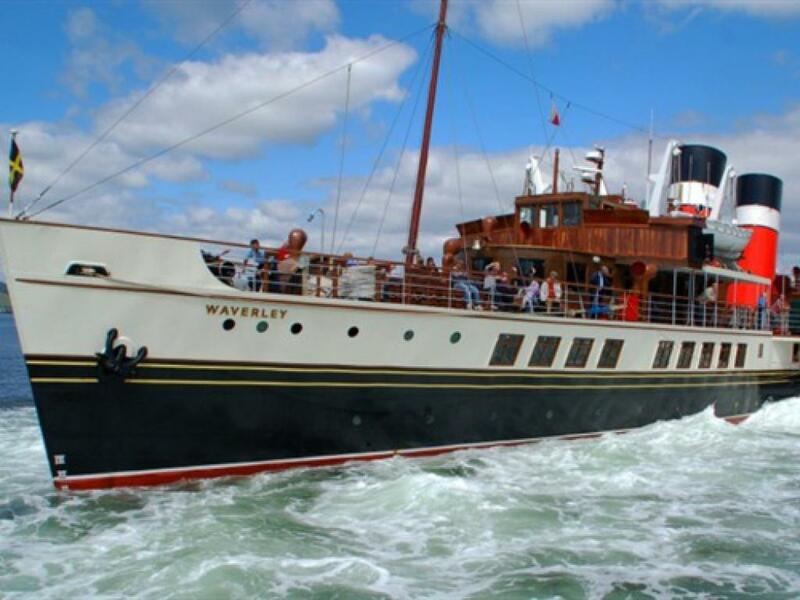 There are many boats of all shapes and sizes over the summer months in the harbour area including the last ocean going paddle steamer ‘The Waverly’. Traditionally many paddle steamers would arrive daily at the many piers on the island bringing bustling tourists ashore. The rooms now ready at the St.Ebba are within the ‘Summer Retreat’. These rooms are of a high standard all with en-suite and quality Scottish toiletries. They are fresh light and airy. They are all well equipped with welcome trays, free view television, WI-FI, dvd player, hairdryer. 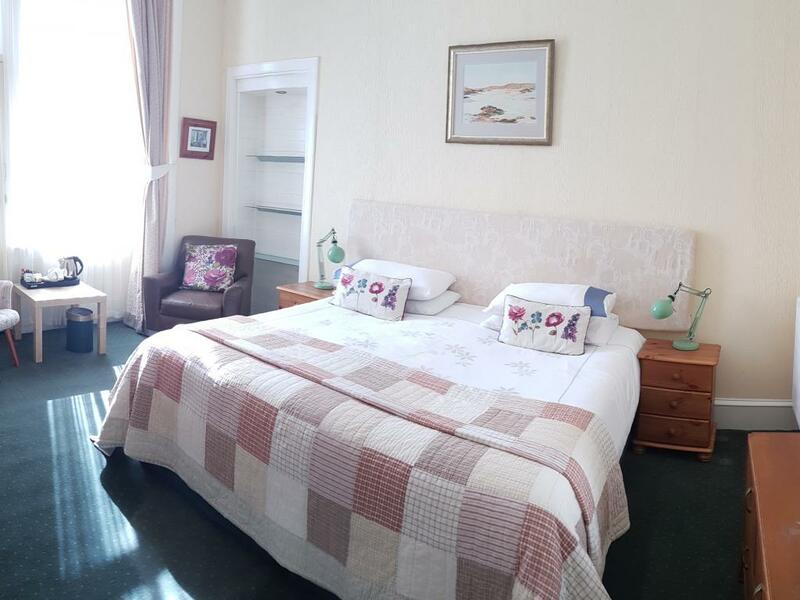 We also have a spacious ground floor room with large en suite shower room that may suit those guests who would rather not have stairs or require to use a wheelchair. We can cater for a wide range of visitor wither its business or pleasure. The rooms available are for couples, singles, twin rooms and families. Families with small children we can provide travel cot and high chair. Since March 2010 we have been transforming it into our family home and we have been sharing it with our ‘Bed & Breakfast’ guests since July 2011. It has a comfortable contemporary style which blends well with the traditional feel of Scottish holidays in Rothesay. You will find a friendly relaxed atmosphere to enrich your stay. You may want to relax in the lounge of the St.Ebba in front of the log stove and enjoy the fabulous unrestricted views across Rothesay Bay on to the Cowal Peninsula and Loch Striven. On warmer summer evenings you can enjoy views from the front garden terrace. The front door to St.Ebba is accessible via a driveway leading to entrance way. All ground level, no stairs and ample room for wheelchair access. We have a ground floor room that is accessable for wheel chair access. Spacious room with en-suite shower room. Their is hand rails for toilet and shower. Shower seat available if required. There is a small step over to access the shower. 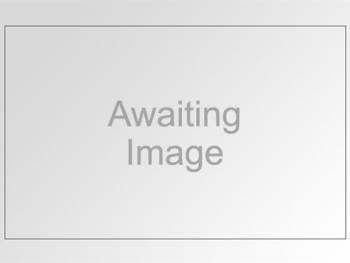 This room is classes as catagory 3 mobility access by Visit Scotland. The lounge and dining room are all accessable for wheelchair use also on ground floor. Large panoramic windows to enjoy the view. 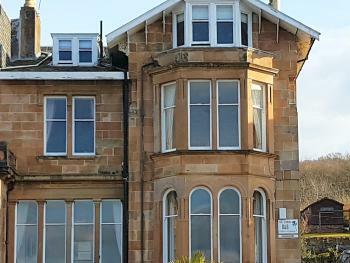 From the main ferry terminal Wemyss Bay to Rothesay, turn left towards Kilchattan Bay and continue along the shore road. We are about 2/3rds of the way along Mount Stuart Road. this should only take about 5mins by car from the ferry terminal or 15mins by foot.